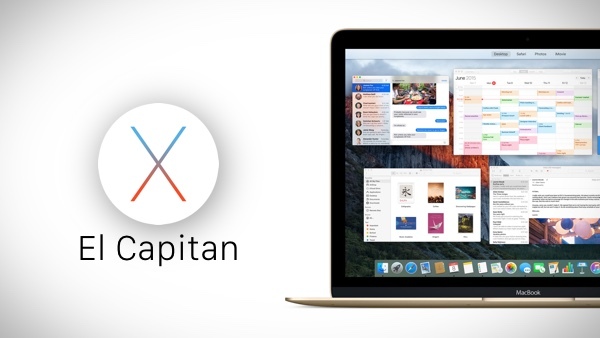 Apple has just released a new beta version of OS X 10.11 El Capitan for download. Now up to beta 5, this seed surprisingly comes less than a week after beta 4 was released to developers. Apple’s usual release schedule cycle is two weeks between each beta release. The timing of beta 5 indicates that it has likely been released to patch an emergency bug in beta 4. If you already have a previous version of OS X El Capitan beta installed on your Mac, simply update to the latest beta 5 release directly from the Mac App Store. If this is the first time you’re installing OS X El Capitan, you will need to download and install it from scratch from the Member Center on Apple Developer Program website. We have a detailed step by step guide on how to install El Capitan alongside Yosemite on a separate partition on your Mac, that you can follow here: Install And Dual-Boot OS X El Capitan With Yosemite On Separate Partition [Tutorial]. Apple unveiled OS X El Capitan at WWDC in June. The first beta was released to developers right after the event while a public beta program was released for non-developers earlier this month. OS X El Capitan is the successor to OS X Yosemite. The final version of El Capitan is scheduled to release this fall. when you try to split Safari tabs the whole thing goes crazy..
Why is it called somewhat in Spanish ? America is always about Spanish, interesting.